What is the purpose of the iMac Security Shoe? Our iMac Security Shoe is designed to attractively display iMac computers, while keeping them safe from theft. It is an all-in-one security solution, which is easy to fit and install. 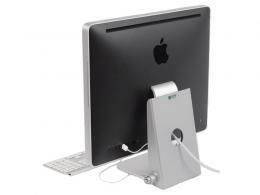 Designed for all 21.5 and 27 inch cinema display iMac computers, it attaches neatly to desks. The durable security device also includes integral memory guard. It neatly secures a keyboard, mouse and memory card. Where can the iMac Security Shoe be used? 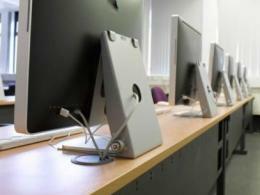 Our iMac Security Shoes can be used in corporations, educational institutions and agencies. It is designed to be used on 21.5 and 27 inch cinema display models. Use this security shoe to secure iMac computers to desks and tables without hiding their stylish, attractive appearance. Who might use iMac Security Shoe? The iMac Security Shoe can be used by businesses and educational institutions to discreetly secure iMac computers. The streamlined design allows the iMac computer to be displayed and secured at the same time, so it is the perfect solution for classrooms and meeting rooms. 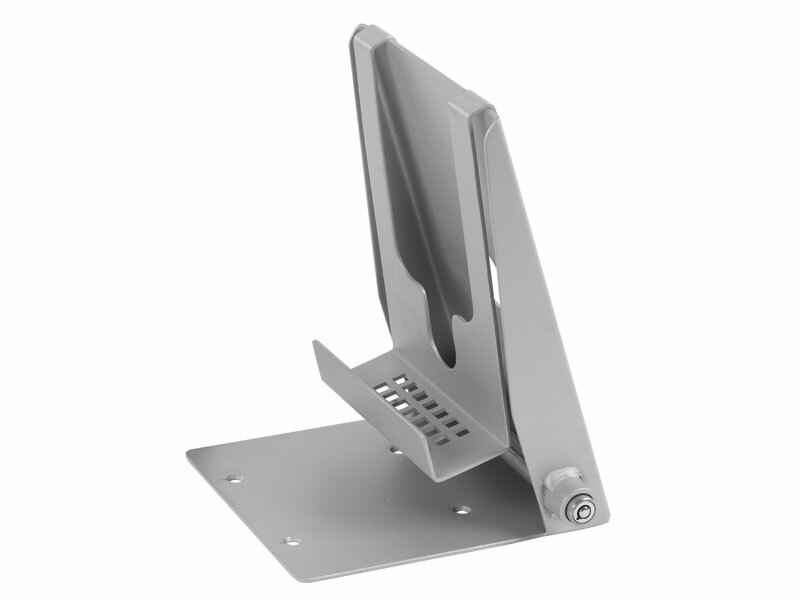 Our iMac Security Shoe has a standard 1 year parts and labour warranty. There are two options to choose from when ordering a Security Shoe for your iMac computer. Additional details are below. We offer free shipping to UK Mainland. 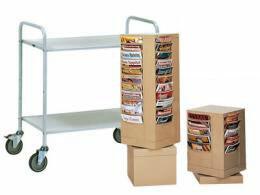 Unit will be shipped within 10-15 business days. Order must be placed by 3 pm. Orders placed after 3 pm will be processed on the following day.